Atletico Madrid midfielder, Thomas Partey, has emerged on the radar of their city rival, Real Madrid. Since his second coming, the Real Madrid manager, Zinedine Zidane, has made clear his intentions to rebuild the club with names of several European stars including, Eden Hazard, Kylian Mbappe, and Paul Pogba being mentioned as some of the big name signing he is targeting. However, the Los Blancos boss has turned his attention to the 25-year-old Ghanaian midfielder should his pursuit for Pogba and N’Golo Kante fails. 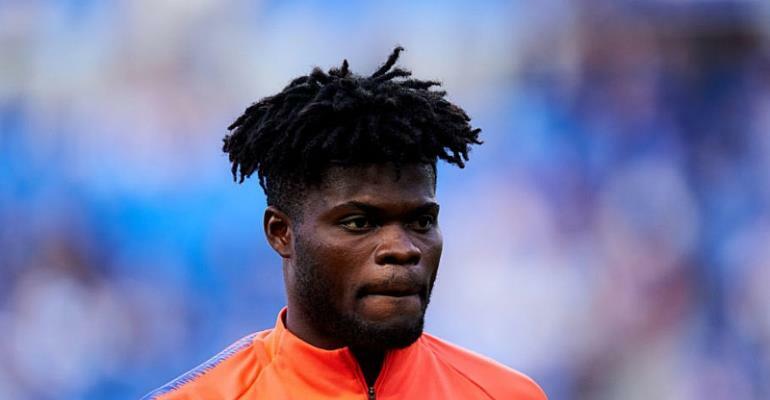 Zidane is said to be an admirer of Partey and according to the chief pundit of Okdiaro, Eduardo Inda, who was speaking on El Chiringuito, the Ghanaian was being considered by the Real Madrid manager. The Los Blancos are not the only top-flight team said to be interested in the Ghanaian as reports indicate, that Inter Milan, Juventus, Manchester City and Manchester United are all said to be interested in the signature of the player. He said the Manchester United midfielder and his international team-mate, Kante, were the top options however, Partey was a cheaper option compared to Pogba. He advised that the Los Blancos could save up to €100m should they opt for Partey against Pogba whose release clause stands at €180m. "Thomas would come if the option of (N'Golo) Kanté and (Paul) Pogba fails. he's much cheaper," said Inda. "He is a player who has evolved very well in recent times. His clause is €80m, while Pogba costs €180m: there is a difference of €100m." "It will depend if the first option or the second one comes out," explained Inda. "Pogba is number one, then Kanté, and if these two options do not come out, they would go for Thomas."